Hello, lovelies~ Happy New Year 2016! I know it's late for a new year's greeting, but it's better late than never, I guess. To start the new year, I am posting a review on a beauty product that I have been liking a lot recently given that Jakarta has entered the rainy season. With January coming to an end, here is my first review in 2016. 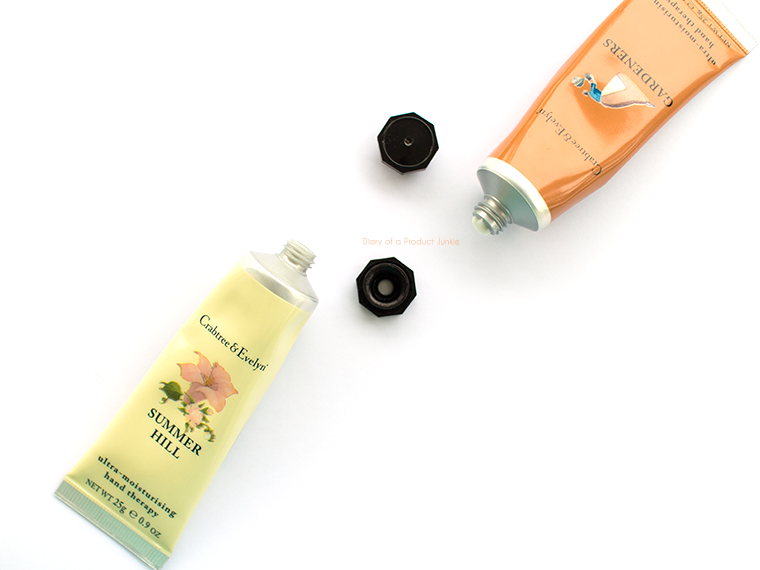 I received these Crabtree & Evelyn hand cream from ibeau a few months ago to try out. 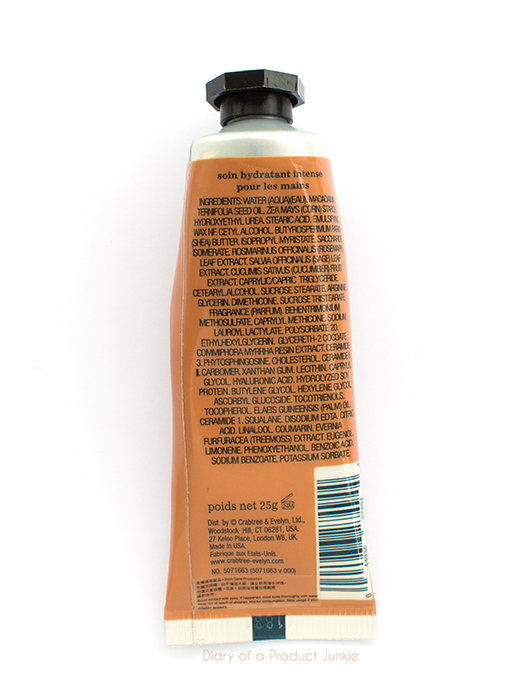 They come in these squeeze tubes with a twist off cap, much like any other hand cream nowadays. The twist off cap isn't my favorite, but I'll manage. I mean, it's not like it's the end of the world when the cap accidentally fell to the floor. Packed with macadamia butter, shea butter, and isopropyl myristate, this hand cream moisturizes my hand without any sticky residue left behind. It contain corn starch to make the finish even more non-sticky and heavy. The hand cream fits into my everyday makeup bag without any problems. 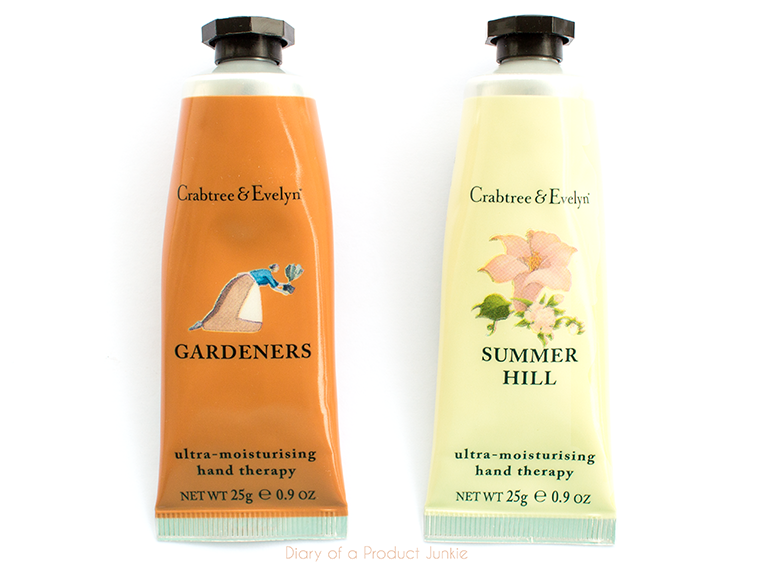 I love the flowery notes from Summer Hill and the nutty scent from the Gardeners version. They're not too overwhelming, but I can still smell it on my hands until the next time I wash them.